With a little planning, meals with leftover turkey can be as tasty as your original meal. Part of the pleasure of a Thanksgiving or other holiday meal is the aroma of a turkey baking in your oven. Continue that great feeling by planning a variety of pleasing post-holiday meals with leftover turkey. Try the recipes in this article or use them as inspiration for your own! Turkey makes a great first meal plus delicious leftovers that are easy to combine into a variety of scrumptious future meals. Try turkey year round and think "planned-overs" rather than "leftovers" to "cook it quick" with turkey. Debone turkey and refrigerate all leftovers in shallow containers within 2 hours of cooking. Use leftover turkey within 3 to 4 days, stuffing and gravy within 1 to 2 days, or freeze these foods. When reheating turkey, reheat thoroughly to a temperature of 165° F until hot and steaming throughout. Enjoy these recipes for leftover turkey provided by Mary Torell (formerly Public Information Officer) Nebraska Department of Agriculture, Poultry and Egg Division in cooperation with Norbest, Inc. and the Nebraska Turkey Growers Cooperative. Mary used the White Turkey Chili recipe and won a local chili cookoff contest with it! I've added several "Cook's Tips" to help you adapt the recipes, if needed, so you don't have leftovers of other ingredients when using your turkey leftovers! Check the Norbest Web site (www.norbest.com) for more leftover turkey recipes. Combine rice, onion, curry, lemon juice and salt. Cover and refrigerate overnight. Add rest of ingredients, except lettuce, to chilled rice mixture. Serve on lettuce leaves. Save time by making extra rice and use the rest at a later date. See "Cook Once, Eat Twice" for more information on preparing, storing and using extra rice. Though your recipe will be less colorful, you could substitute about 2 tablespoons of chopped fresh onion or 1 1/2 teaspoons of dried, chopped onion for the green onion. You could use bottled lemon juice for this small amount. Or, buy a lemon and cut up the extra lemon for a touch of elegance by adding lemon wedges to the water glasses at your post-holiday meal. Frozen chopped green pepper could be substituted for the fresh pepper. Thaw it quickly by placing frozen chopped pepper in a strainer or colander and running cool water over it. Shake off excess water before use. A light or fat-free mayonnaise may be used. Or, try low-fat or nonfat yogurt or sour cream in place of the mayonnaise or a mixture of these and mayonnaise. In medium bowl combine yogurt, mayonnaise and tarragon. Fold in turkey and grapes; cover and refrigerate at least 1 hour. Trim tops from mini pita pockets (or cut 6-inch pitas in half). Line inside of pitas with lettuce. Carefully fill pitas with turkey mixture. A possible use for any leftover lemon yogurt is to combine it with chopped apple, diced celery, raisins and chopped walnuts or any of your other favorite Waldorf salad ingredients for a new twist on an old favorite recipe. Most purchased, dried crushed tarragon leaves should be fine enough "as is" without further crushing. 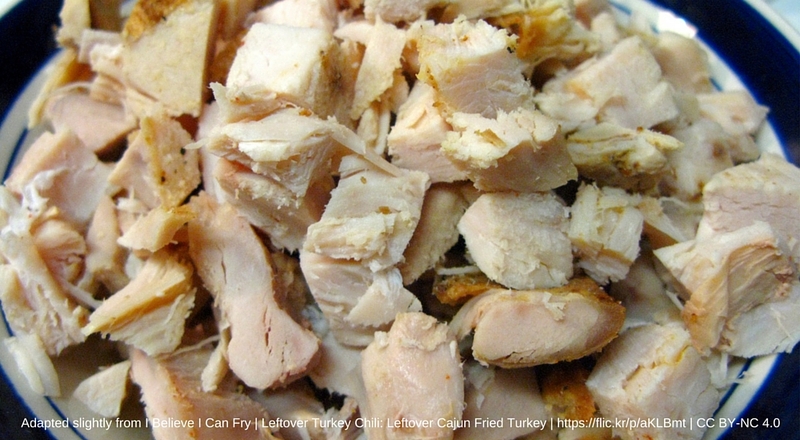 Use white meat leftovers if you've prepared a whole turkey and not just the breast portion. If you'd like to try this recipe, but don't have access to pita bread, you could serve the turkey mixture atop the lettuce on a plate with some of your leftover Thanksgiving rolls placed on the side. If you don't have large pieces of leaf lettuce but do have pre-torn bagged lettuce, you can place this on the bottom half of your pita and then fill with the turkey mixture. In jar with tight-fitting lid, combine all vinaigrette ingredients; shake well (See Tip 4). In large bowl, combine all salad ingredients; toss gently. Serve with vinaigrette. If desired, garnish with fresh strawberries. You can substitute 1 1/2 teaspoons dried chopped onion for the chopped fresh onion or as recommended on the dried onion container. Prepare the dressing at least 10 minutes before you need it to allow the dried onion to rehydrate from the fluids in the dressing. If you'd prefer, another way to add crunch to your salad would be to use 4 tablespoons chopped walnuts instead of the celery. If you don't have a container with a tight-fitting lid, place ingredients in a small mixing bowl and mix together with a whisk. Heat oil in a skillet over medium heat. Add onion and celery, cook and stir 2-3 minutes. Place all ingredients in a large saucepan (at least 4 quarts). Stir well. Cover and cook about 15 minutes over medium heat stirring occasionally until thoroughly heated. Sprinkle mozzarella cheese on top, if desired. You can substitute 1 tablespoon chopped dried onion for the chopped fresh onion or as recommended on the dried onion container. If you have extra broth, use it instead of water when cooking vegetables or use it for some or all of the liquid in making rice. Use within a day or two or freeze.